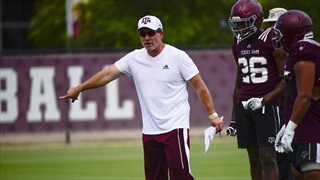 Near the midway point of spring practices, Billy Liucci opens the book on how Mike Elko's defense is developing in year two, including explosive showings from the defensive line and a few question marks as the Aggies look to replace several veterans. Spring practice always brings a new round of enthusiasm after a couple of football-free months, but it never answers every off-season question. It does offer coaches and fans a helpful trail of clues toward what kind of team the Aggies will field in the fall. 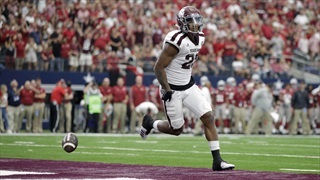 The Aggies hit the field Wednesday for their first full practices of 2019, and Billy Liucci punctuates his spring preview series by highlighting several Aggies who could make headlines this season. 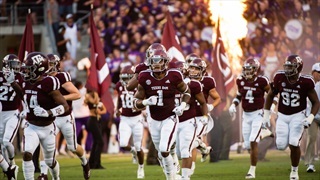 During Monday's edition of TexAgs Radio, TexAgs co-owner and executive editor Billy Liucci joined for a "lightning-round" preview of the Aggies ahead of Jimbo Fisher's second spring at Texas A&M. Each week Billy Liucci offers his own take on the Top 25, answering the top 25 user questions from the week, plus a few "others receiving votes." 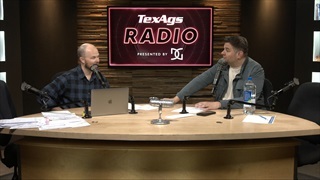 This week he tackles the surging A&M run defense, overrated and underrated teams and much more. 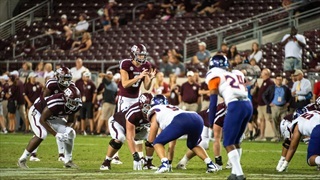 After A&M's 59-7 blowout win over Northwestern State, Billy Liucci dives into Kellen Mond's continued growth at quarterback, Trayveon's fit in Jimbo's offense, the defenseive performance short four starters on Thursday night and much, much more. 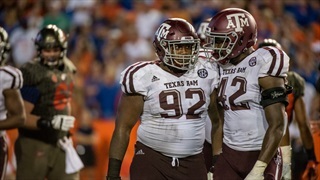 Texas A&M doesn't have many proven playmakers on defense, but Mike Elko and Jimbo Fisher have plenty of talent to work with at most positions. 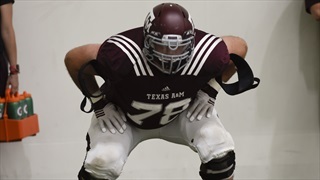 Billy Liucci runs down the Aggies that made noise during the first week of fall camp. 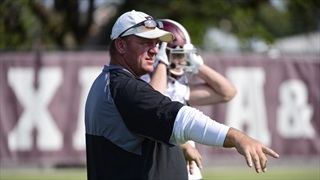 Texas A&M head coach Jimbo Fisher disclosed an injury to an Aggie contributor when he spoke with the media following Saturday's practice. 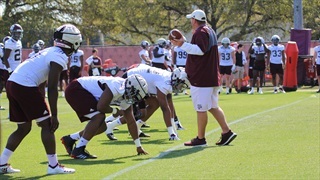 He also heaped praise on several of the Aggies freshmen and sophomores, including Leon O'Neal and a group of wide receivers. 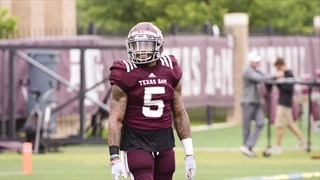 In his final installment of fall camp Five in Five, Billy takes a wide view of five storylines that will have the attention of A&M fans far and wide, including the QB battle, a new-look defense, and more. 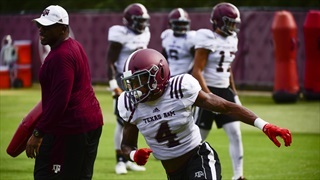 As fall camp is set to start, analyst Billy Liucci breaks down Texas A&M's standout offseason performers and previews the position battles to watch as the Aggies take the field in July and August. He saw little action in his first season, but following a full year on campus and in the speed and strength program, DE Micheal Clemons should factor heavily into the defensive equation. He comes in at No. 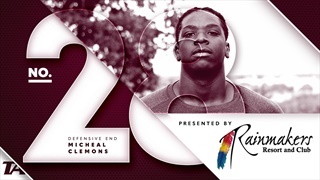 28 in our 30 Players in 30 Days series. 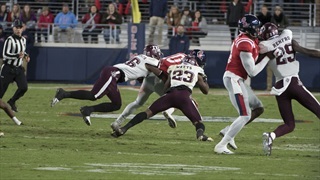 After a rough first half in Oxford, the Aggie defense responded with perhaps their best showing of the year as they held the explosive Ole Miss offense to just 66 yards in the second half. Billy Liucci shares his thoughts on the A&M defense. 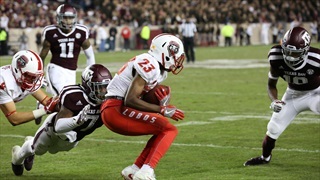 The Aggie defense dominated New Mexico on Saturday, holding the Lobos to just 144 yards of total offense. Billy Liucci shares ten thoughts on the performance and the young players that stood out for A&M. 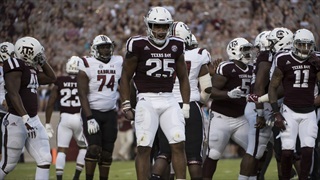 The Aggie defense still showed the propensity to give up the big play in Saturday's win over the Gamecocks at Kyle Field, but a smothering fourth quarter effort helped Texas A&M put the game away late. 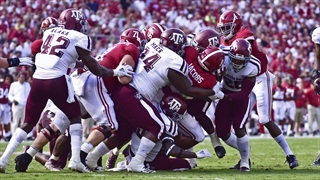 Much like the win over Tennessee last season, Texas A&M's victory over Arkansas involved the defense playing well early, fading late and coming up with big plays in overtime. Billy Liucci takes a look at the entire performance and breaks down the good, bad and ugly. Texas A&M and Arkansas have been going toe-to-toe on the recruiting trail for ages. Jason Howell takes a look at some of the recruiting battles that color the teams' current rosters and high-profile struggles of the past. 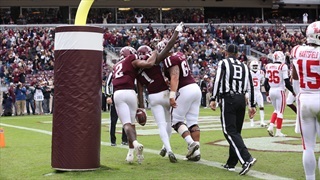 The Aggie defense was one of several first half concerns against Louisiana, but the unit flipped the script with a fairly dominant second half. 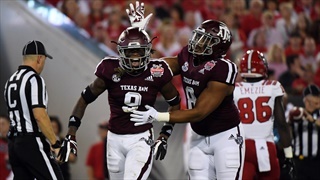 Billy Liucci takes a closer look at what changed and where the Aggies need to improve as they prepare to open SEC play against Arkansas. 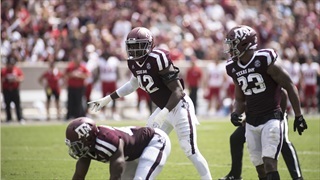 The Aggie defense was in bend, not break mode on Saturday night at Kyle Field against Nicholls State. 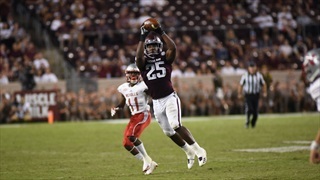 Billy Liucci takes a look at the players that stood out and where the Aggies need to improve before an explosive ULL offense comes to town.